JANELLE DE SOUZA continues an examination of domestic violence among women and men. Reducing violence against women needs to start by instilling love, respect, and patience in our children. Society also has to stop condoning violence in general, and especially among boys. Data from the Crime and Problem Analysis (CAPA) Branch of the TTPS indicated that from 2012 to 2017, the reported cases of domestic violence gradually decreased from 1,962 to 1,122. However, in 2017 alone, there were 43 domestic-violence-related homicides, the highest number of cases in those five years. According to CAPA, 19 women were killed as a result of domestic violence – two by their spouse or ex, one by her sister-in-law, one by her father, and 15 by other relatives. Of the 24 men that were killed, four were killed by their spouse or ex, three by their brothers, one by his grandfather, two by their stepfathers, and 14 by other relatives. Psychological counsellor Franklin Dolly said one of the reasons for these high numbers was the way boys and men were being socialised. He said when dealing with conflict, males were taught not to back down, to use physical size and force to make the opponent surrender, to use violence with other males. Females on the other hand, were taught that violence was not the answer. He said they were usually taught to talk things out and find peaceful resolutions. Therefore, they learned the skill of negotiation and making decisions based on logic and facts, rather than purely on anger. Dolly said while condoning verbal, physical, emotional, or financial violence amongst males, it was usually stressed that the same interactions should not be used with females. He gave the example of fighting in school. He said if a boy fought another boy, he may be given three days suspension, but if he fought a girl, he may be given as much as a month’s suspension. Another example was that of the “violent, hostile language” used in Parliament. He said between men, it was called banter or fatigue, but those same men would not speak to a woman in the same manner. However, he said people should not be surprised that the same method males used to resolve conflicts among themselves was bleeding over to their interactions with women because they were not taught differently. He said 30 years ago, men would settle conflicts with fists and feet so the end results were usually injuries. However, he said they now used tools of violence including guns and knives and other methods that resulted in death. She explained that anger and other emotions were produced mainly in the part of the brain called the amygdala. She said anger “hijacks” the pre-frontal cortex, which is responsible for humans making rational decisions. She reiterated that men were also victims, and many perpetrators were also women. 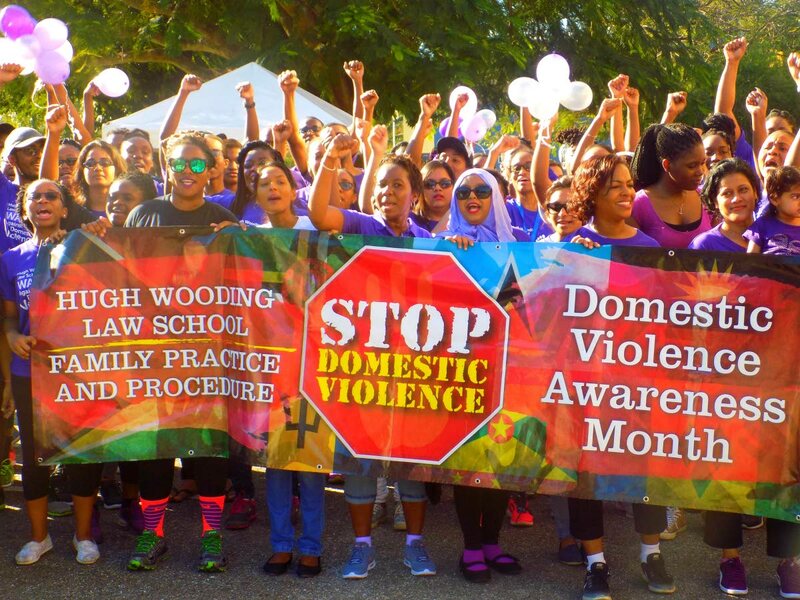 This was backed up by TTPS data which showed that last year, 336 men were victims of domestic violence. The TTPS separated the data into categories including homicide, sexual abuse, assault by beating, breach of protection order, child abuse and abandonment, malicious damage, psychological abuse, threats, verbal abuse, and wounding. Twenty-four of the 336 men were victims of homicides and four of the 24 were killed by their spouses or people with whom they had previous relationships. Therefore, she said it was important to show children love and teach them patience, respect, and how to earn respect and love. She also encouraged parents to “bring back the times” when manners were important and children were actively playing sports instead of being idle. She said it was necessary to teach children that respect was not the same as fear and fear was not love. She added that children needed to be taught by example, not by sitting in front of a computer or television. Reply to "Teach love, respect for all"